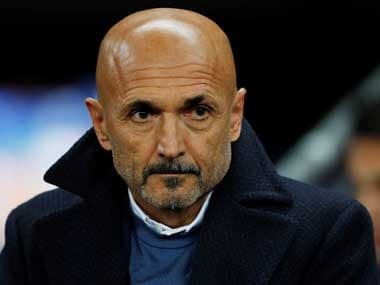 Milan: Inter Milan coach Luciano Spalletti believes Tuesday's Champions League match against PSV Eindhoven at the San Siro is the Italians' biggest game since he took over last year. "Since I've been here, we've got the points and put in the performances that we needed. Now, we're here to play for a spot in the last 16 on the final day of the group stage. We're all aware of the importance of this game. We've dreamed of playing games like this," he added. "The team is fine. 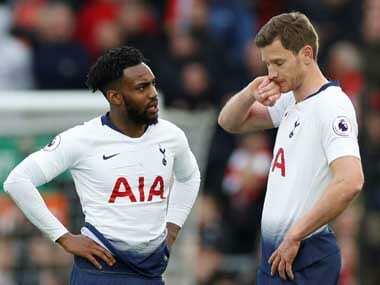 We've played really strong teams like Tottenham Hotspur and Juventus of late and we've played on an equal footing," insisted former Roma and Zenit Saint Petersburg coach Spalletti on Monday. "If, at the time of the draw, we were told we'd be playing for qualification against PSV and Tottenham had to face Barcelona, what would we have said? We've seen that the group's very tough. It's still open to any outcome," said Spalletti. "I don't have any issue with it, lots of other players from different teams were there too, it certainly wasn't strange for him to be there," said Spalletti. "Against Inter it's a derby for me because I played at Milan," said the 41-year-old Van Bommel, adding, "for Inter it will be an important game. We don't have anything to aim for but we must find the motivation within ourselves." Midfielder Pablo Rosario added, "it's the last chance we have to play in the Champions League. We struggled to get here, we'll try to prove something."